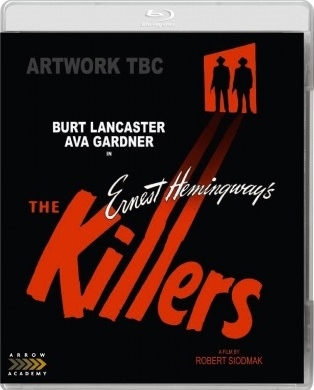 As a huge Robert Siodmak fan, I just wanted to pass along the news that Arrow Films in the UK are releasing The Killers on Blu-ray on November 17. It’s up for pre-order on their website here. For me, it’s an awful close run thing trying to decide whether The Killers or Criss Cross represents Siodmak’s best work. Either way, it’s a terrific and very welcome bit of news. At one time the Hollywood studios all seemed to have a particular style and feel associated with them. Even without seeing the credits you could usually tell which company had produced a movie just by its look. Mention Universal to most film fans and they will probably think automatically of the horror cycle running from the early 30s through to the mid-40s. Understandable as that is, it also means that the westerns the studio made in the 50s tend to be overlooked, although not by genre fans. The Universal western (or Universal-International to be more accurate) was for the most part a no-nonsense affair that moved at a fast lick and was visually attractive. Gunsmoke (1953) is a good example of the studio’s output – pacy, entertaining and lacking in pretension. Reb Kittredge (Audie Murphy) has been making a living as a hired gunman, and the opening shots of the film see him and his friend Johnny Lake (Charles Drake) riding hard in an effort to outrun a posse of cavalrymen on their trail. The two men had been plying their trade in the Johnson County War but are now heading off in different directions – Johnny planning to sell his skills elsewhere, while Reb hopes to get into the ranching business. He’s had an offer of employment from a man called Telford (Donald Randolph), and is setting off to find out what it entails when he’s bushwhacked – a lone sniper shoots his horse from under him using a buffalo gun. As is often the case in these movies, a man’s reputation has the nasty habit of preceding him and then dogging his steps thereafter. Reb has made his name dispensing lead and that’s really the only thing that interests people. It turns out Telford is a slick and ruthless business type who has been buying up all the land around, and now there’s only one man standing in his way. Dan Saxon (Paul Kelly) and his daughter Rita (Susan Cabot) are all that stand between Telford and total control. And this is where Reb comes in – Telford wants to hire him to ensure (by whatever means are necessary) Saxon doesn’t get his cattle to market before his mortgage comes due. So far this is all pretty standard fare, but the initial reluctance of Reb to take on the job and, more significantly, the fact he wins the ranch from Saxon on the turn of a card takes the story in a different direction. Reb has the ranch he always wanted but with Saxon now working for him, the daughter resenting him, Telford on his back, a deadline looming and a former friend gunning for him. No 50s western would be truly complete if it failed to touch on the notion of redemption, at least in passing. I don’t for a moment believe Gunsmoke was ever striving for great depth yet it does touch on this classic theme. Murphy’s character is referred to as having gained notoriety for his actions in the Johnson County War – while it’s not made clear which side he hired out to the implication is surely that he earned his pay gunning for the big ranchers. By siding with Saxon, the small independent, and taking on the might of Telford and all his resources it could be read as an attempt to make up for his past deeds. Anyway, the pace is so brisk and the script so packed with incident that there’s not that much time to linger over such matters. The screenplay comes courtesy of D D Beauchamp and a novel by Norman A Fox, neither of whom were strangers to the western genre. The direction was handled by Nathan Juran, one of those studio professionals who rarely get a lot of credit for the quality of their work. Juran made a number of westerns with Murphy alongside other studio assignments. As time wore on he moved towards science fiction and fantasy pictures – 20 Million Miles to Earth, The 7th Voyage of Sinbad, Jack the Giant Killer, and so on – which paved the way for a television career notable for his contribution to various Irwin Allen shows. Juran may not have been an especially spectacular director but he was very solid and I’ve always found his work highly watchable. Gunsmoke saw Audie Murphy settling more comfortably into his role as a movie star, and particularly as a western star. He would go on to better and more complex parts in the future of course but this film offered him an opportunity to play a guy with some interesting shadings to his character. He’s probably at his best in his exchanges with Charles Drake, who makes for a fine anti-heroic/villainous adversary. Susan Cabot is good too and shows plenty of grit throughout – her driving of a chuck wagon down a treacherous mountain incline is a memorable scene – proving herself capable of providing more than mere eye candy. Still, the acting honors have to go to the supporting cast, particularly Paul Kelly and Donald Randolph. Randolph is oily and effete yet menacing as a coiled serpent, the silky exterior masking a calculating and venomous nature. And Kelly is just about perfect as the rancher who will gamble on anything. His philosophical approach to life and all its tribulations adds a lot of charm to the movie. Gunsmoke is out on DVD in Spain (it’s also available in Germany as part of a Murphy box set from Koch Media) via Llamentol. The image is pretty good, if perhaps a little soft, and doesn’t have any serious damage visible. Generally, the presentation improves as the feature progresses. I’ve seen the film on TV a number of times and the DVD is comparable to those broadcast versions as far as I can tell. Gunsmoke may not be the best western Audie Murphy made and it’s not the best Universal-International had to offer either. Having said that, I like it a lot – it’s brisk, colorful and entertaining from start to finish. There’s good professional work done by everyone – both in front of and behind the cameras – and the film stands as a fair representation of the style and ethos of a Universal-International western. It’s just come to my notice that veteran film and TV director Andrew V McLaglen has passed at the age of 94. The son of Oscar winner and John Ford favorite Victor McLaglen, his long career in showbusiness makes for impressive reading and some highly entertaining viewing. On TV he directed over a hundred episodes of Have Gun – Will Travel and wasn’t far off that total for Gunsmoke. On the big screen he helmed a number of late-era John Wayne movies and a trio of enjoyable adventures I remember seeing in the cinema back in the day – North Sea Hijack, The Sea Wolves and The Wild Geese.